Brilliant orange and yellow large flowers with many long petals. Mild flavor with a touch of tartness. Add excitment to desserts and even main courses. 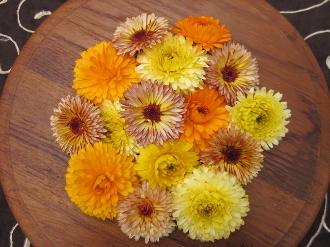 Use whole or take apart petals and mix into salads for splash of color.